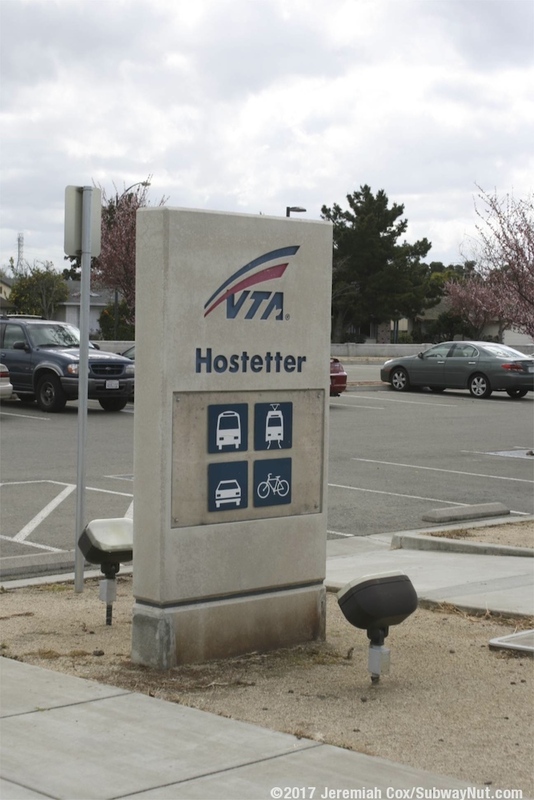 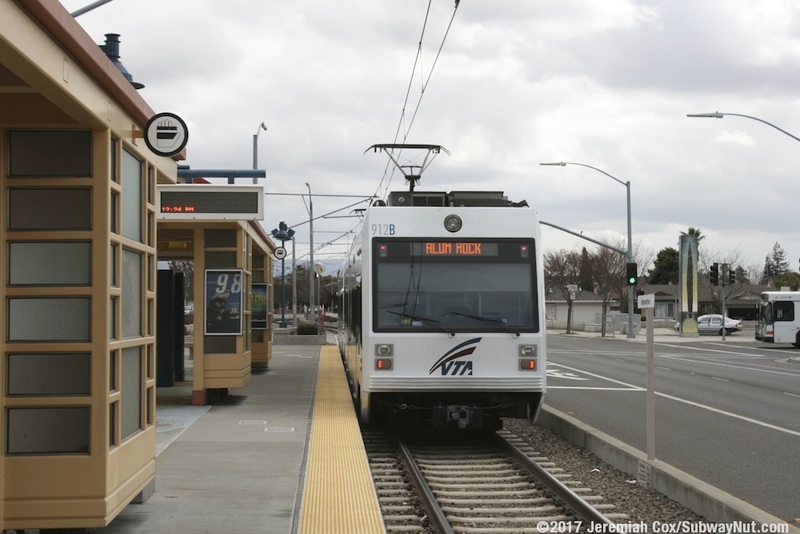 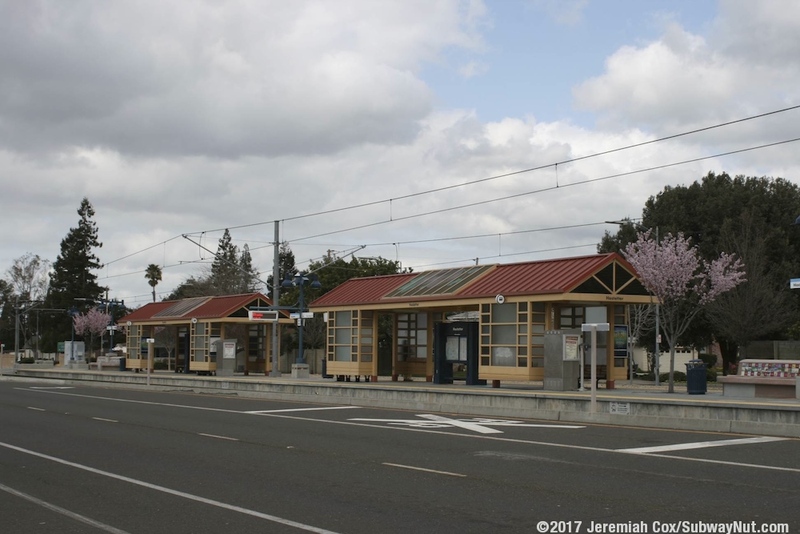 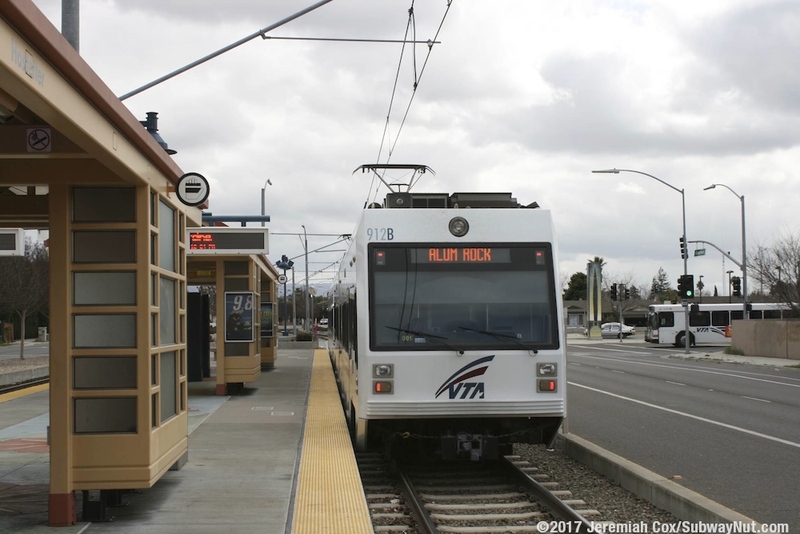 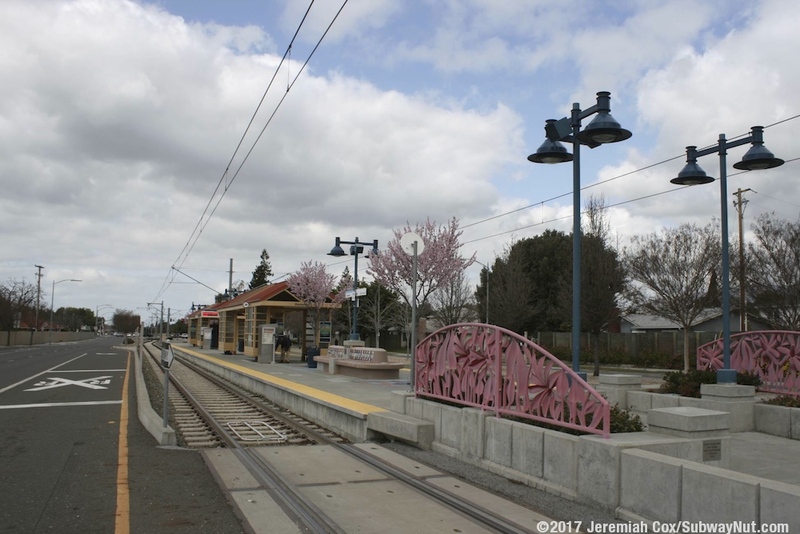 Hostetter is a light rail station with a single island platform in the median of Capital Avenue. 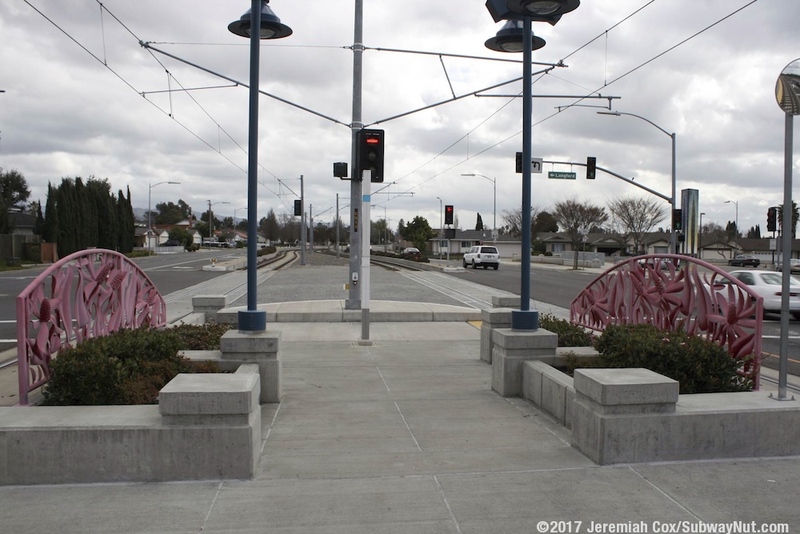 The station is a block southeast of the actual intersection. 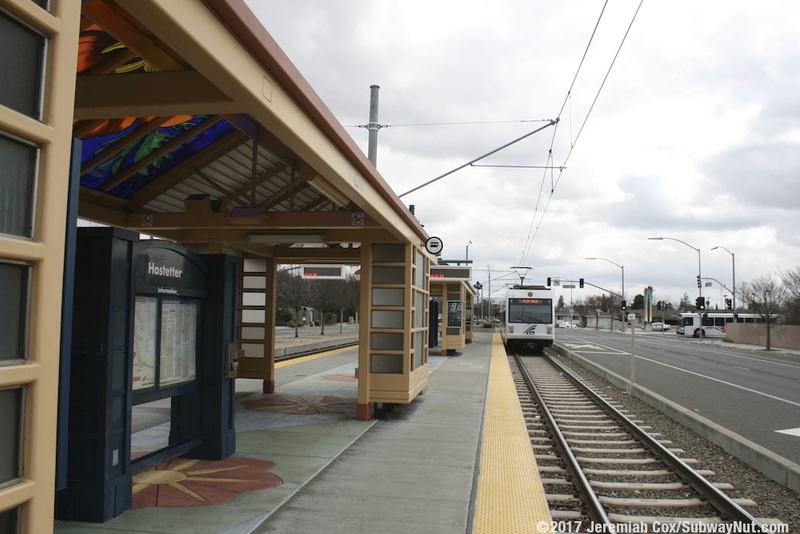 The station has a single island platform for the two-track line. 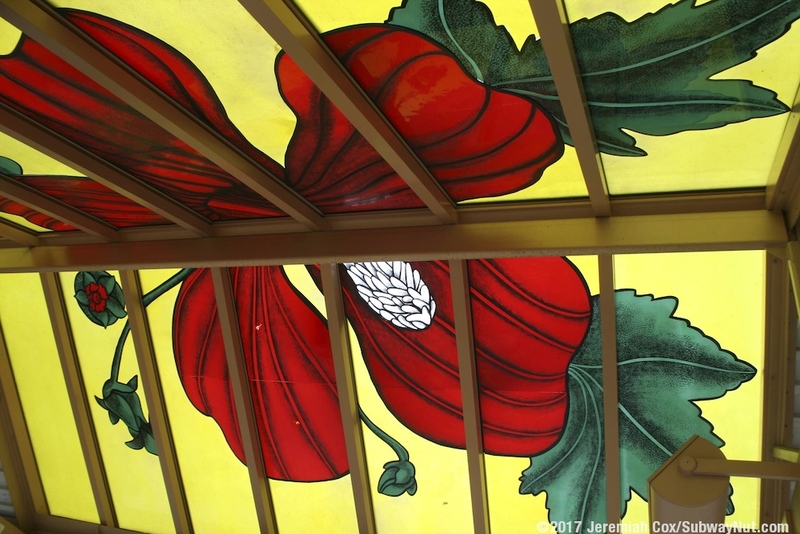 It has two tan colored canopy structures. 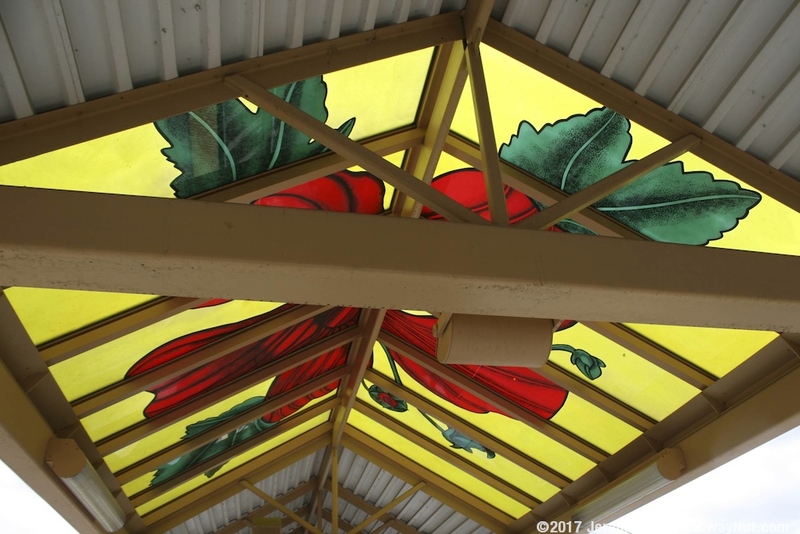 Portions of the canopies are made of painted glass designed by Jean Whitesavage and Nick Lyle. 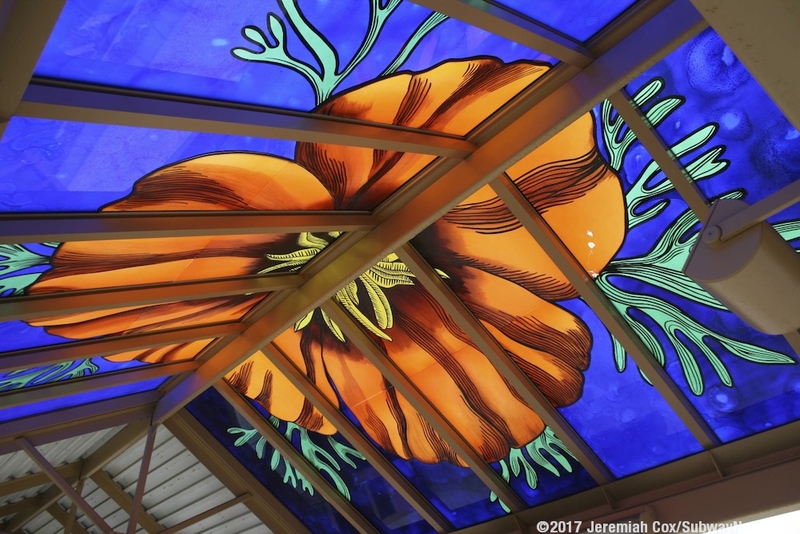 The flowers are based on the designs of the California Poppy and Tree Mallow. 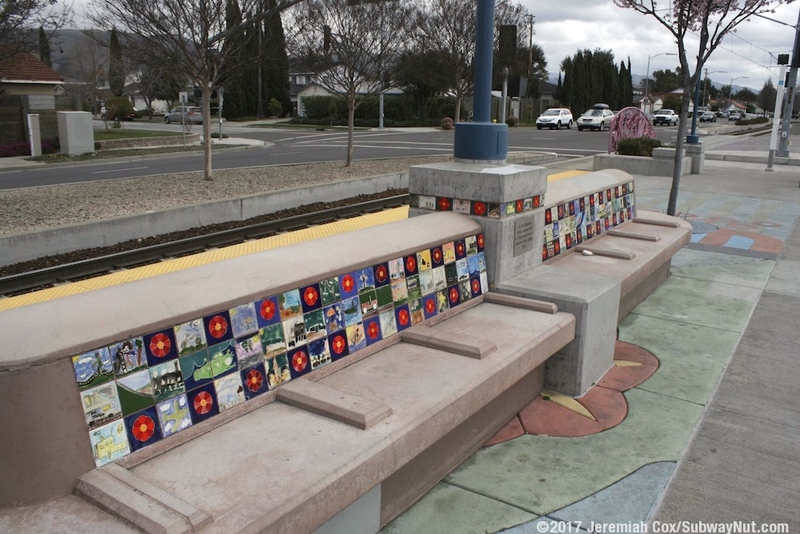 Entry railings along the short ramps up to the platform level are pink and have floral patterns inspired by the Yerba Mansa. 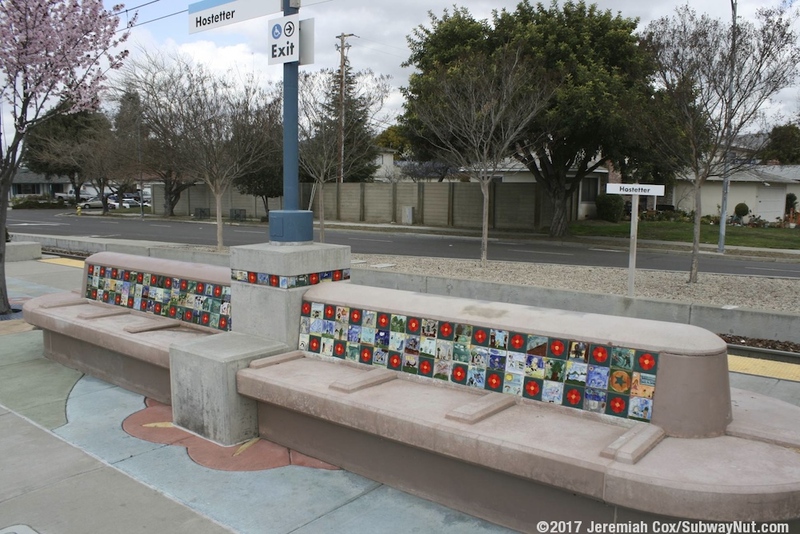 The pavers on the platform are distinctive looking and by Victor Zaballa. 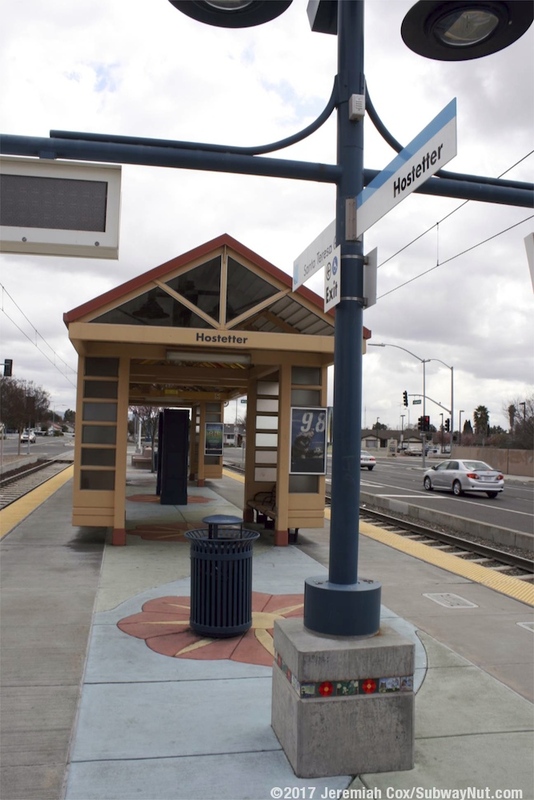 For waiting passengers there are benches both beneath the canopy structures and separate from them on exposed portions of the platform. 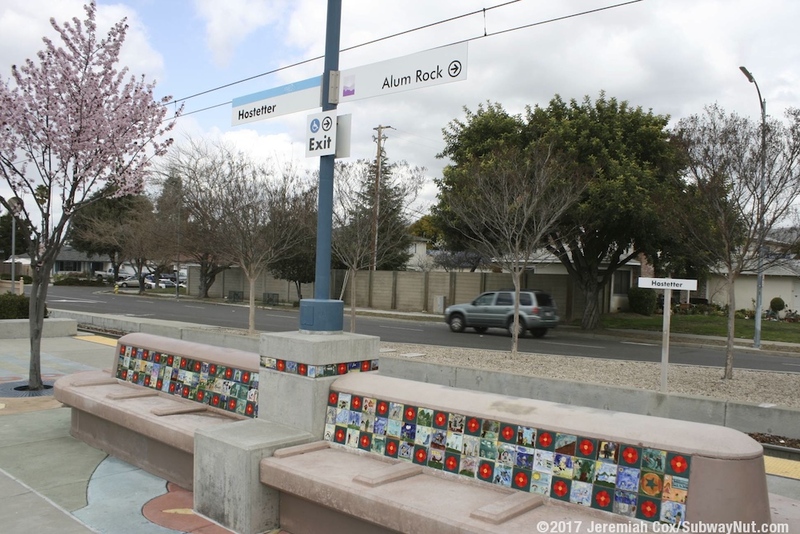 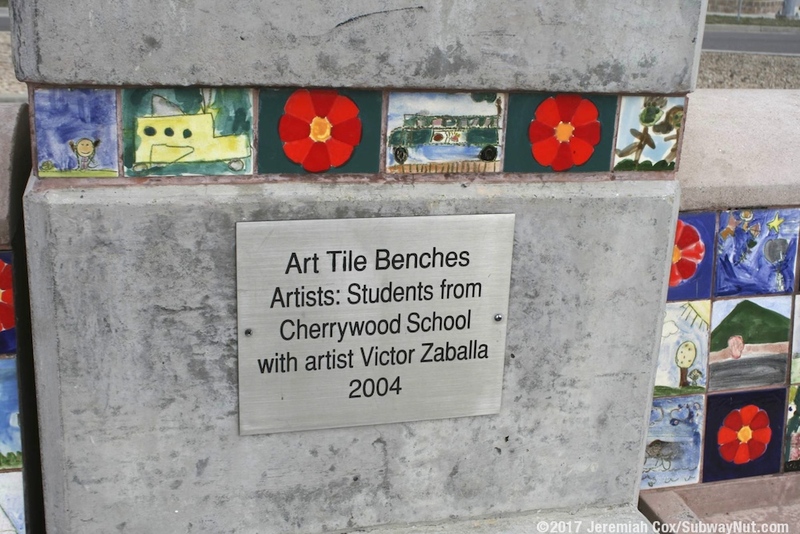 These exposed benches are made out of concrete and backs of the benches have tons of little tiles by students at Cherrywood School. 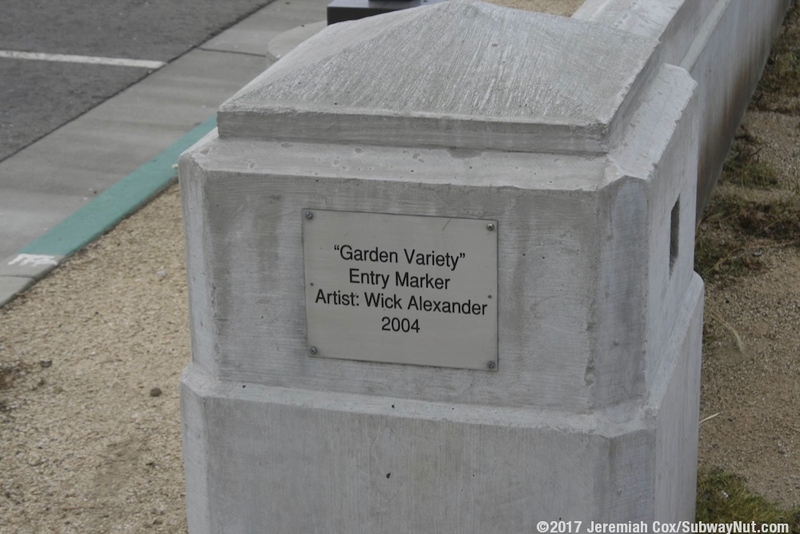 The themes of the drawings are children's games. 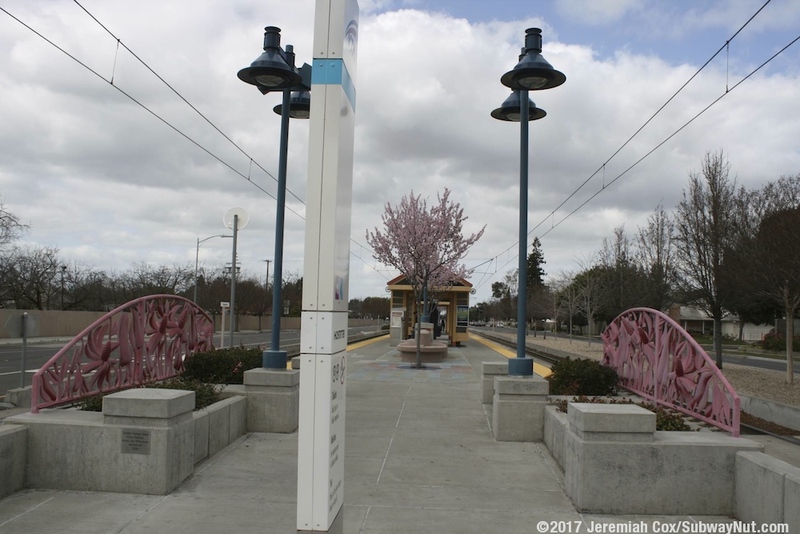 This island platform has a single entrance at its southeastern end from the intersection of Longford Drive that becomes Caminola Court at the intersection. 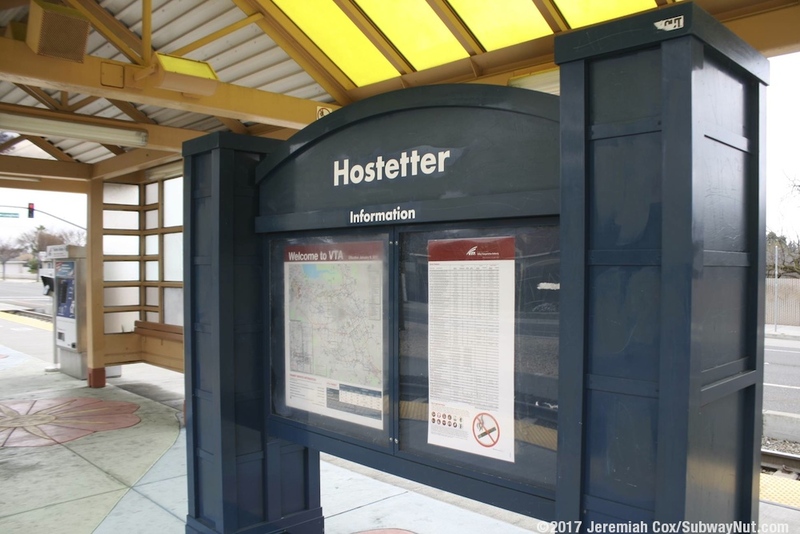 This is the name of the station's small stub-ended bus loop and access point to the small 100 space park & ride lot southwest, catty-corner to the station platform. 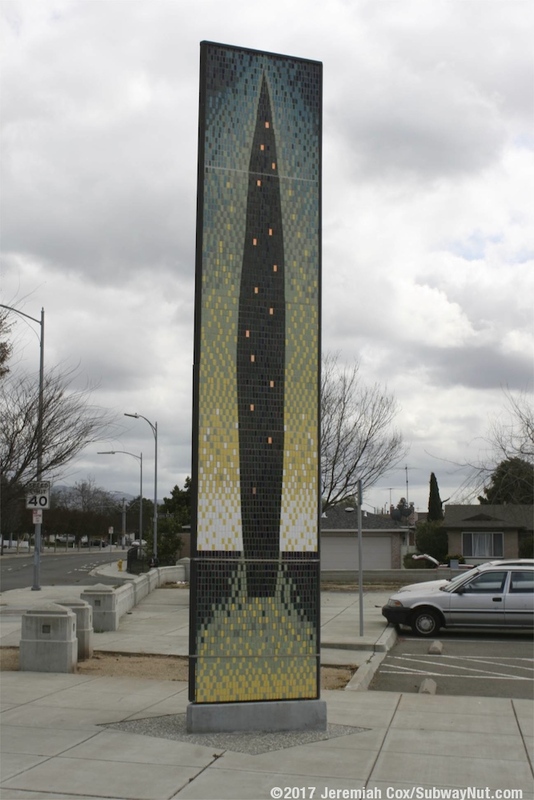 The corner of the Park & Ride lot where pedestrians access it has a tall triangular pillar with mosaic designs on it, its 'Garden Variety' Entry markers by Wick Alexander.